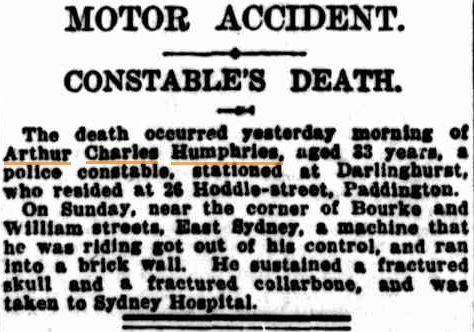 Cst Arthur Charles HUMPHRIES. 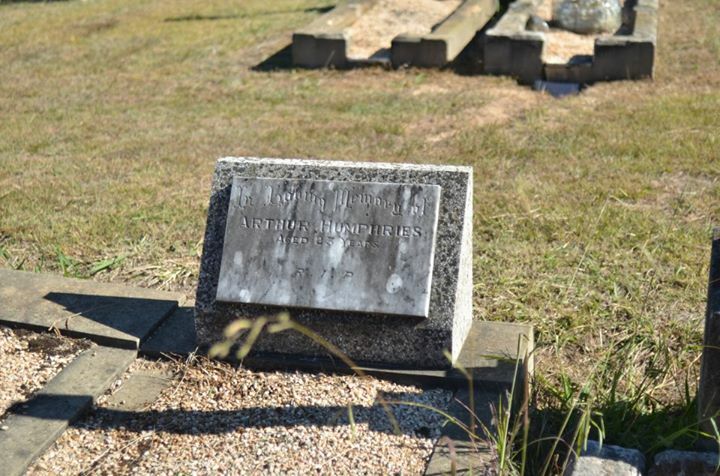 Grave is located at Collector cemetery next door to the Police Station. When you walk in facing the back of the cemetery, it is around the middle and to the left. 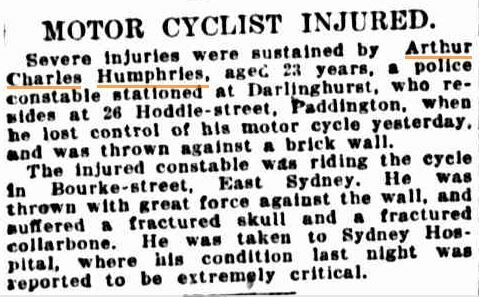 On Sunday 5 April, 1925 the constable was riding his motor cycle in Darlinghurst when the cycle collided with a brick wall at the intersection of Bourke and William Streets. 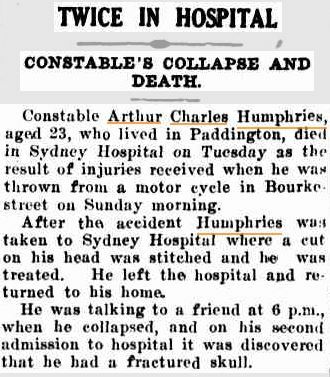 He sustained a fractured skull and broken collar bone and was conveyed to the Sydney Hospital in a ( as reported in The Sydney Morning Herald ) critical condition but another newspaper article in the Singleton Argus, dated 11 April, states that he was treated and allowed to leave hospital to return home and that he was talking to a friend at 6pm when he collapsed and upon his second admission to hospital, it was discovered that he had a fractured skull. 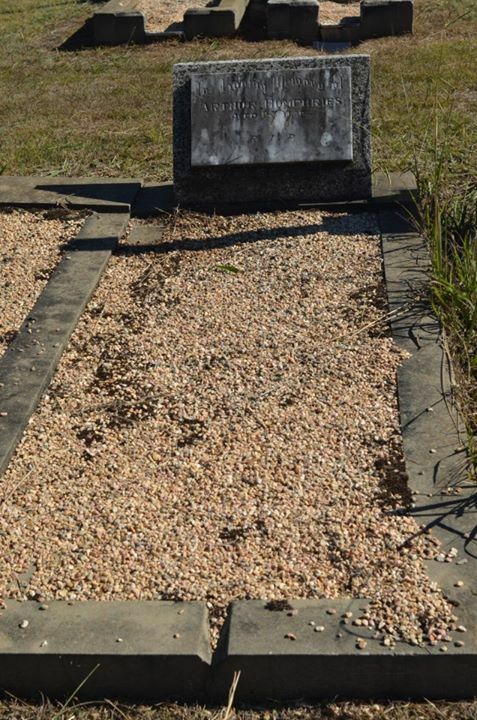 He died on Monday, 6 April, 1925. It is not known if this death occurred on duty. The constable was born in Goulburn in 1903 and at the time of his death was stationed at Darlinghurst.